There has been instances where even a stock like Page Industries, has posted poor numbers for some reason or other for 1 quarter(see snapshot below). That’s when the stock moved sideways/corrected for a few months and later bounced back. I am willing to sit tight as there are still no questions about the fundamentals of this company. I see this as a temporary period of lull not as a major issue and may carefully accumulate after listening to management’s tone after results. Disc: Invested ~5% of my pf. My views may be biased. Please do your due diligence. Hi…I have personally sold Symphony (which was 10% of my portfolio) at around 3100. Was a bit late but lucky in realising that it was extremely overvalued. Would look to evaluate only if I get somewhere below 2500 crore mkt cap. Guys, I am novice in the markets and so in VP forum. Even for strong horses like Symphony, market cap/ sales ~ 10 ratio little too much? I see the same with Page Industries and almost all crazily grown stocks. even an eps of 35 gives it a pe of 50 for the current yr.thats expensive given the fact management says we are witnessing a poor qrt, stock should underperform till mgmt commentary changes to positive, no doubt a business run by competent people who have kept the business asset light and built a great brand.and still a large unorganised sector to feed on.a good knife but a falling knife. It seems like more correction is left in this stock. 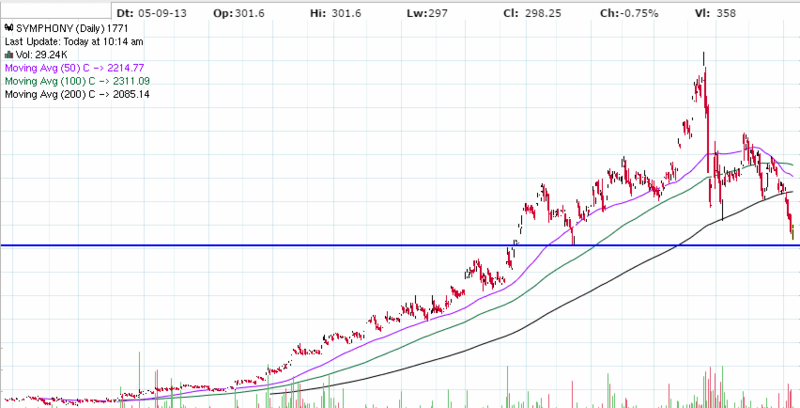 It has broken 200 DMA with good volumes. Look at how it was trying to find support @ 200 DMA & then collapsed when it broke it. 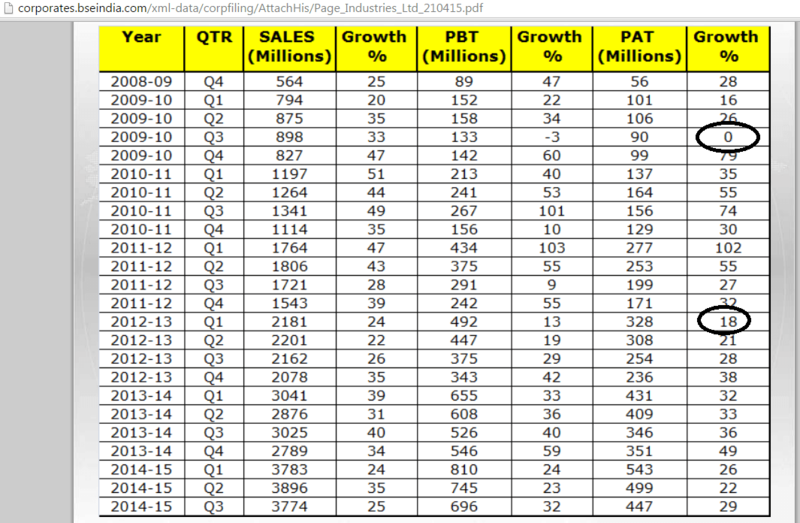 Any update on how sales in April to June 2015 quarter in line with lower growth in IIP for consumer durable during April-May 2015 and also weak demand for ACs as reported in newspaper? Discl: No holding but may invest in future. Speaking to CNBC-TV18, Nrupesh Shah, ED-Corporate Affairs of Symphony says un-seasonal rains and hailstorms have affected the sales of air-conditioners this year. Pricing power, new launches and economies of scale to the help company keep its EBITDA margins steady at current levels of around 30 percent, said Nrupesh Shah, executive director-corporate affairs, Symphony. I think the stock is trading at an attractive level. I will buy aggressively at around 40-43 times earnings. I feel many fears are unfounded. Erratic Monsoon: I don’t think Met Department or anyone has ever or maybe even ever will predict weather patterns to the dot. Just last week Chennai was reeling under heat wave (40+ Temperature for 3 straight days) and due to climate change average temperature will only go up. So tracking monsoon or present weather patterns is not going to help. have coolers. Get fans statistics. And he also exports to more than 60 countries. with annual revenues last accounting year of only $89 million. As per Prof Sanjay’s exit multiple valuation method, Symphony’s current 50 times earnings implies, as illustrated here, that the stock is expecting to grow at 22-23% CAGR for the next 10 years. I feel it is possible to grow at this level and every drop in stock price this equation is only getting to a much favorable odds for investors to add on. I love to own Page and Eicher but thinking in terms of exit multiples and current valuations it seems expensive. Symphony at Rs 3000+ was like that, but at Rs 1675-1850, the odds are in our favour. Disc. : Views are definitely biased. I own Symphony at over 12% of my PF. In terms of the valuation, at the current PE multiple of 50, the implied PAT CAGR growth rate for next 10 year should be around 30% which puts Symphony in the elite top 1% category of all listed firms. Yes that growth rate is very much possible given the pedigree of the management, huge runway and asset-light business model but it does mean that everything has to go perfectly well with no room of error. Having said that if Symphony can grow at 30% CAGR for 10 years, the PE multiple at the end of 10 year will be much higher as it will be in the category of super growth companies. 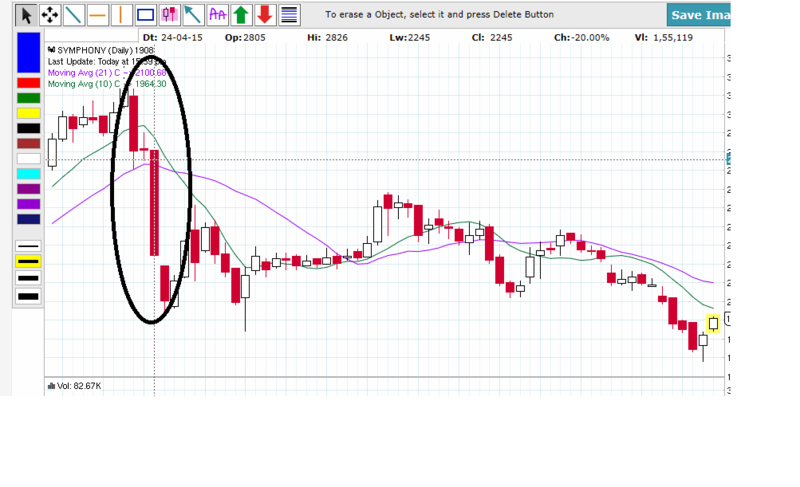 Symphony at Rs 3000+ was like that, but at Rs 1675-1850, the odds are in our favour. I am invested into this counter. Since everyone(including me) is talking about the positives, lets not get carried away by this. 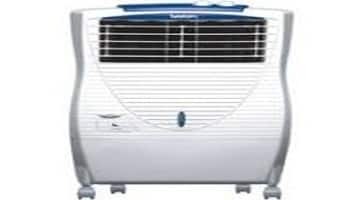 One key development in the last few months in this sector is, Voltas has entered into the Air cooler segment recently. Knowing that Voltas is a formidable competitor, with Tata as the brand name, what are the implications? Can Symphony continue to retain 50% market share(of the organized market). If you note, Symphony’s P/E downward adjustment started after Voltas’ announcement of entry into this segment(Could be due to sheer coincidence). E.g. V-Guard has huge brand equity in stabilizers, but not able to replicate the brand equity when expanding into new categories like fans, etc. Though the actual news broke out in the first week of may(please check below), most of us in the market knew in the last week of April that Voltas is entering the segment(channel check ) Please check the stock price correction and correlate it with the rough dates. However this would be a short term newsflow and should have limited impact to begin with. The bigger question would be, does Voltas have a superior product compared to Symphony? We know their distribution strength and their brand equity. How much of a dent(if any) can they make? Here we are looking at one of the Porter’s five forces. Threat of new entrants. I feel we should delve further. The bigger question would be, does Voltas have a superior product compared to Symphony? Assume you want to buy a cooler, and you go to a domestic appliances outlet… What would you buy? Would you buy the tried-and-tested Symphony? Or would you buy Voltas, which seems to be superior product, but its reliability, quality, etc is unknown…? I think, most people being risk-averse, would buy the Symphony… Risk-averse decision making is dominant in buying consumer durables, autos, etc. From Porter’s 5 Forces view - New entrants are a threat if Symphony did not enjoy the brand equity it enjoys currently. 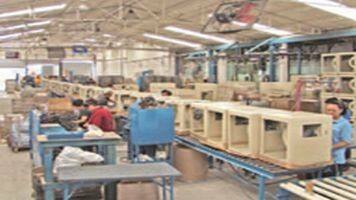 Management does not seem to be too perturbed by the threat of competition in a rapidly expanding market. In fact, more organized players in the form of Voltas may help to expedite the shift from unbranded to branded coolers. Couple of small observations this past week reinforced my faith in Symphony’s narrative about the untapped opportunity: of coolers in general (vs AC) and shift from unbranded to branded. In Mumbai, a traditionally non-cooler market, I saw pretty-looking Symphony tower coolers (looked a lot like tower ACs) in some upper/mid-range restaurants (Chillis). While just a few hundred kms away in Nashik and Indore, I saw (extremely ugly looking) unbranded in-room coolers being widely used in 4/5-star hotel properties. These guys can easily afford Symphony coolers so it must be a question of lack of distribution network, which I am quite confident will not be super tough to establish in tier 2 towns. Any one has conference call details slated for August 13? Please share. I think its a conference call only for analysts. Transcripts will be uploaded in company’s website later as always. Concall details has been attached. we are in august 2015 and the above concall is from august 2013!